September 25th. A date to mark an occasion. Many things have happened in history on this date. Many things will continue to happen on this date in the future. However, in 2018 the 25th September means something amazing to us at SW HQ (headquarters). It marks the date of our Re-Launch. Founders LaToya & Ajay Patel started the original brand Sundar Weddings back in 2012. At that time wedding planning was somewhat of a taboo topic for Asian Weddings. LaToya remembers speaking with a wedding directory company at a big Asian wedding show back then and their rep was less than impressed at the concept of wedding planning! This interaction was enough to plant the seed of doubt. 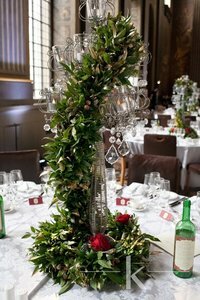 Planning was still very much something that family and friends supported with as standard – including taking on responsibilities at the wedding events to co-ordinate the activities. Today, although there is still an amount of confusion about what wedding planning truly is…it is something that more couples are considering. 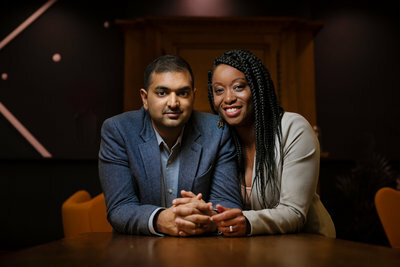 With all of this in mind, LaToya & Ajay shed some light on why they’ve re-launched, what has changed and talk candidly about their latest campaign: #WhosYourPlanner. A new company name. A new logo. A couple of new services. A new website. It’s a lot to change all at once but it was time. No longer will we be asked if our private party clients are planning a secret wedding! 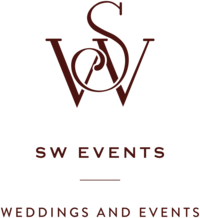 The new name SW Events has a throwback to the Sundar Weddings brand with the SW. Removing the word “weddings” has allowed us to keep one brand and service our wedding and “non-wedding” clients. 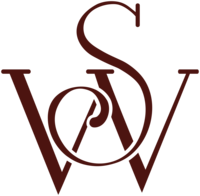 It’s been sad to say farewell to our beautiful henna logo and also very exciting to introduce a very contemporary and elegant SW. It’s more reflective of the type of work that we’ve been doing. 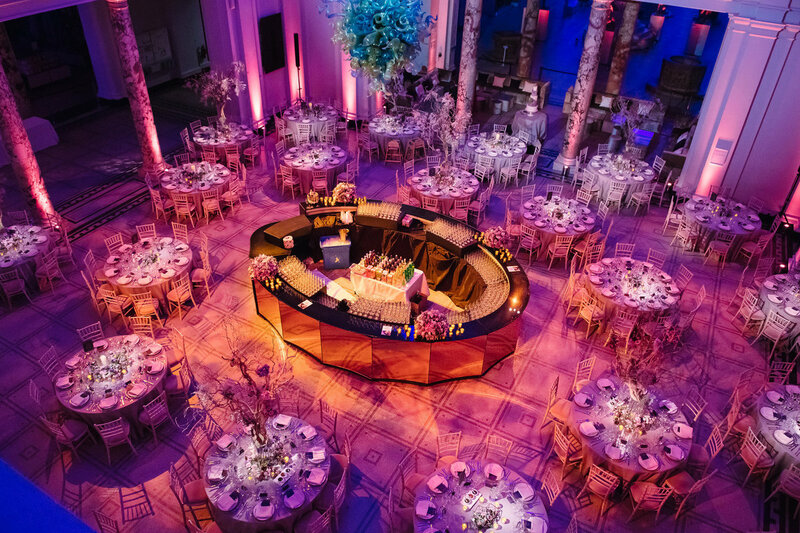 Say hello to our Event services, covering private events & parties plus ticketed & business events. And our Assisted Planning option in our wedding services. It’s perfect for couples who want to do their own planning and would love just a little support and reassurance they’re going down the right path! And of course the website just needed a general facelift to catch up with what we’ve been doing for our couples. True to form, these two entrepreneurs are always up to something. The re-launch has presented an opportunity to bring wedding planning out into light. It can feel like a covert operation running a wedding planning business. There is still the question about what an independent wedding planner does compared with a venue coordinator, décor specialist or a catering event manager. And more fundamentally there is still the question about what wedding planning is! And so the #WhosYourPlanner campaign was born. A wedding is an incredible occasion. Seriously though, how often do you invite hundreds of friends and family (yours and your best friend’s) to one place, at the same time, for multiple days, to participate in multiple events, to … well… to celebrate you?! AND THEN decide to do all of this while carrying on with your job, your social life, your family commitments, your home life and nourishing your relationships. Seems slightly nuts, right?! And yet for all sorts of reasons you’re still encouraged by people to do all of this without expert help. That’s the question of the moment. Who’s Your Planner? A “nearlywed” couple will be asked all sorts of questions while they plan their wedding: Who is your photographer? Who’s catering? Who’s doing your hair and makeup? Let’s start asking “Who’s Your Planner?” Perhaps one isn’t desired – at least consider it. You’re worth it. « 3 Basic Design Questions Every Bride And Groom Should Consider!